An intellectual artist, philosophy and symbolism are combined into the creation of Sabri’s art works. Pushing the boundaries of presenting art beyond art’s sake, his methods and approaches are indeed refreshing. 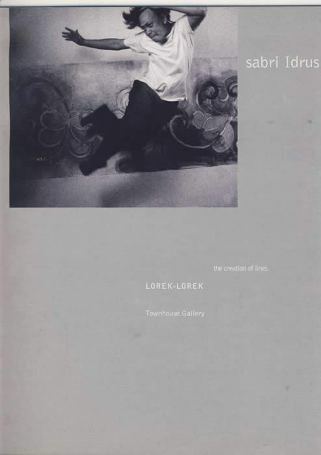 Lorek-lorek translates to mark making. Incidentally, the artist’s approach is very much based on ‘line work’.